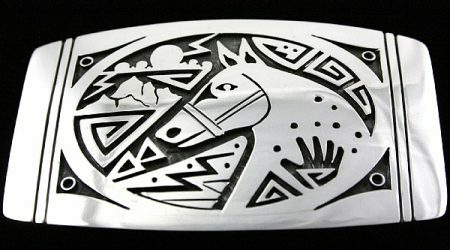 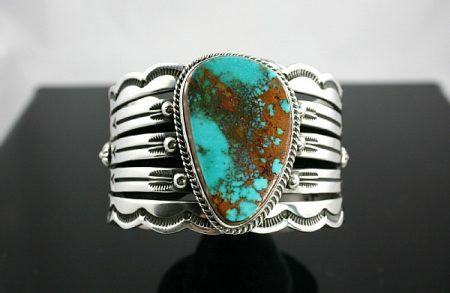 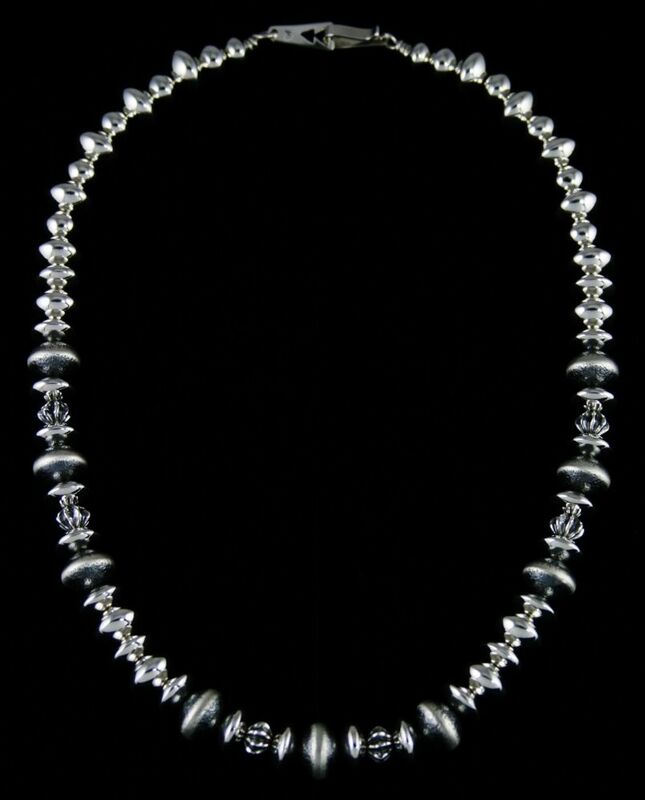 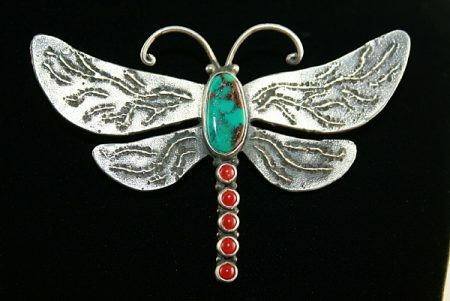 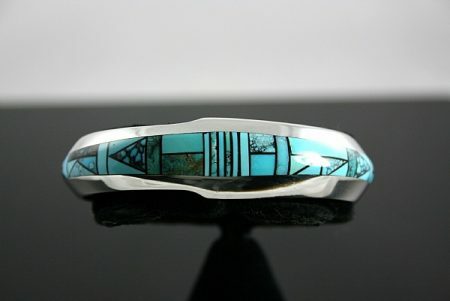 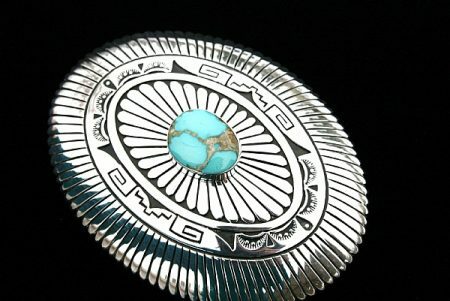 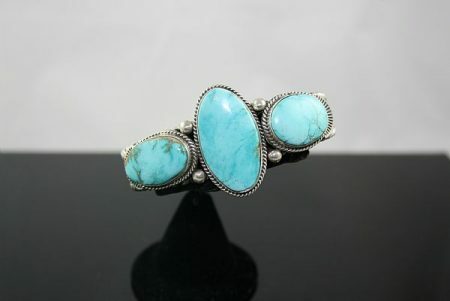 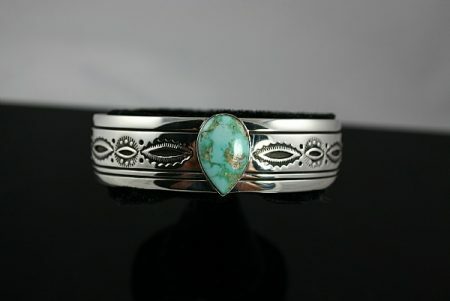 Navajo artist Al Joe has created this eye-dazzling bracelet using several design techniques. 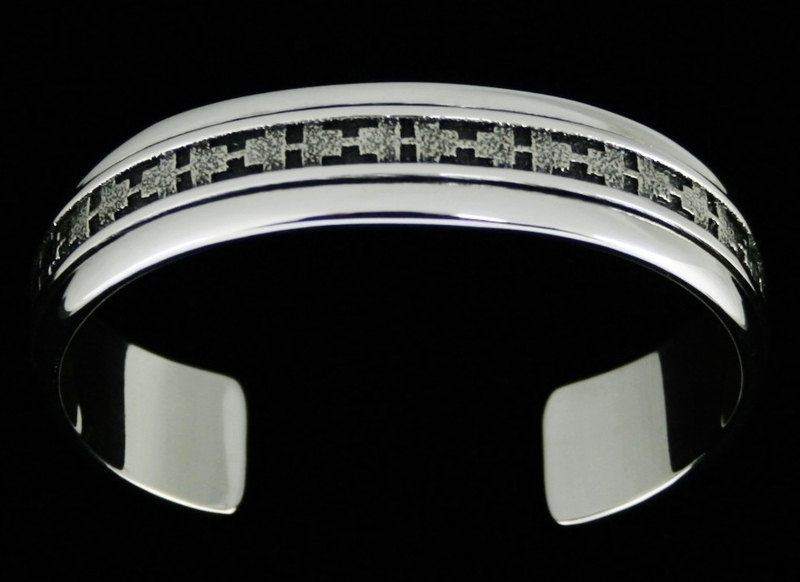 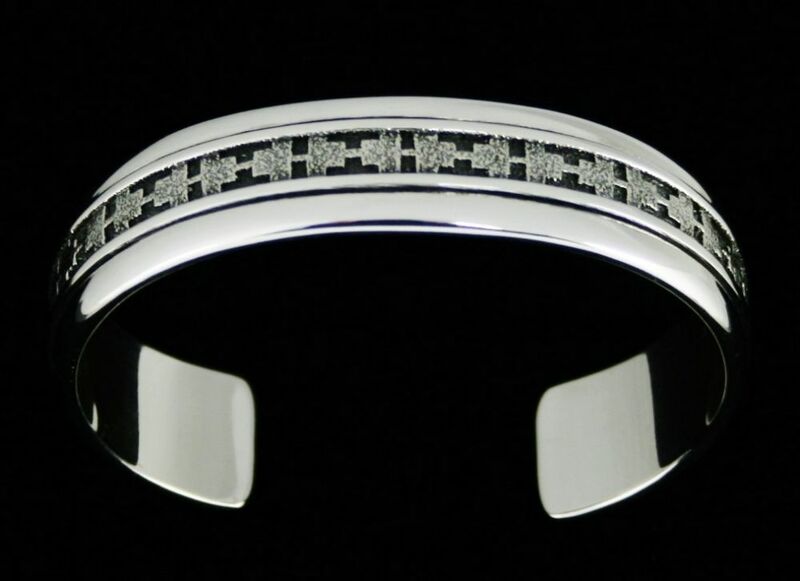 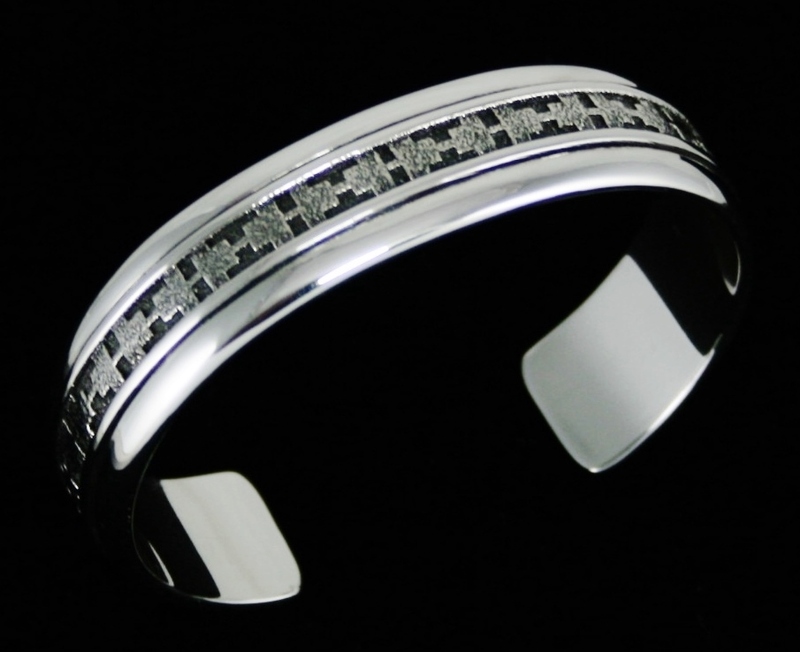 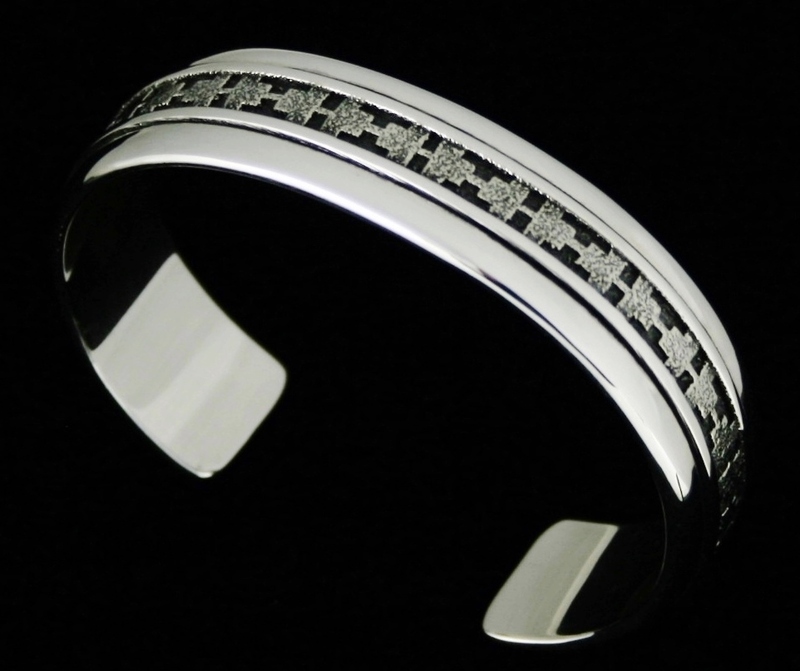 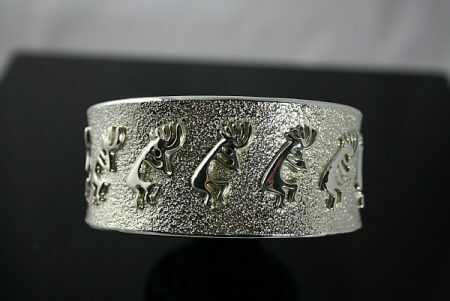 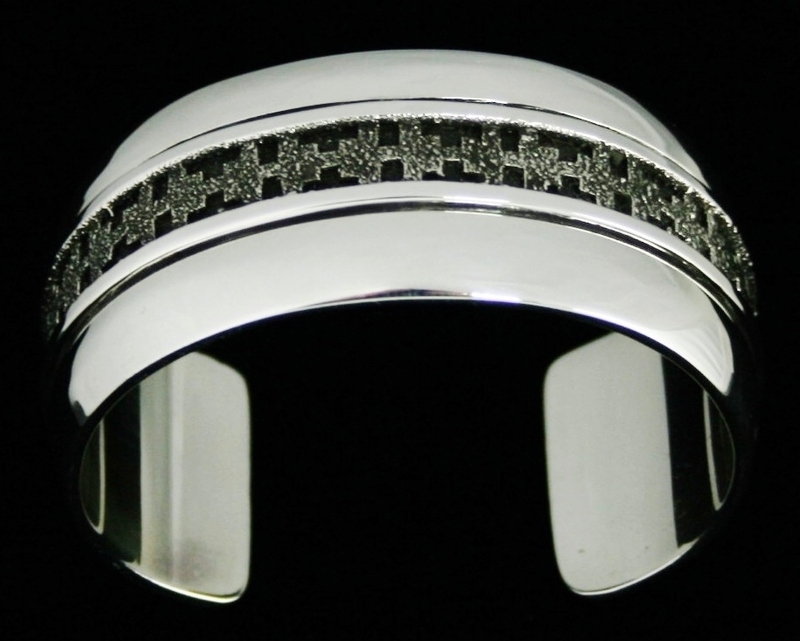 Three layers of sterling silver are overlaid to give the bracelet weight and substance. 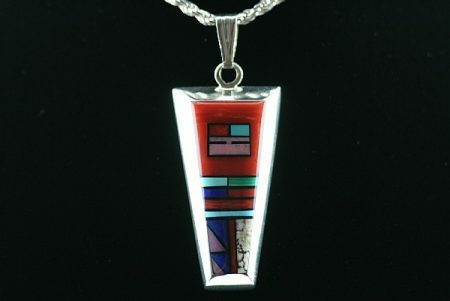 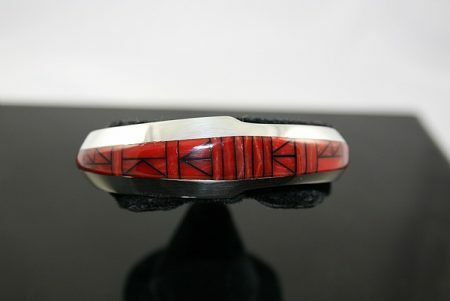 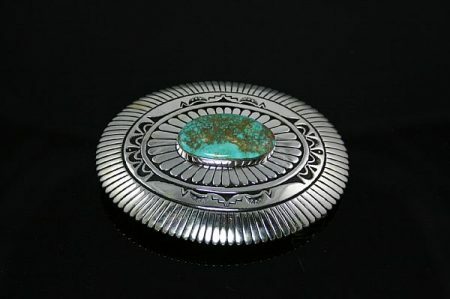 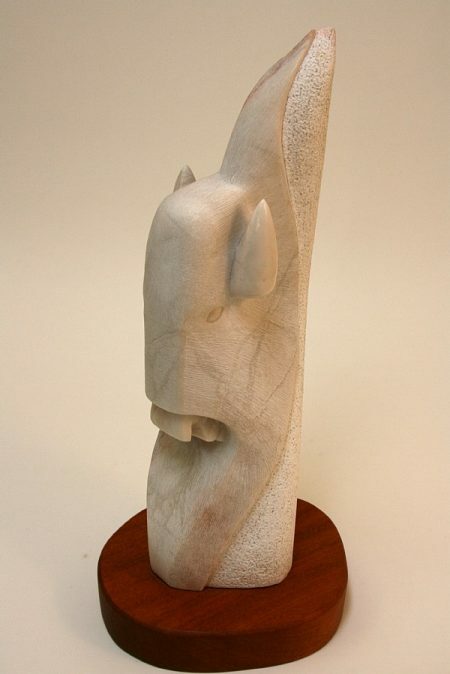 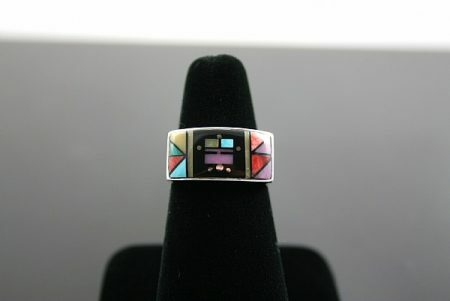 The shank exhibits a striking Navajo rug pattern design down the center. 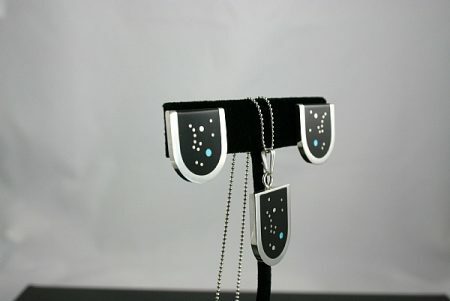 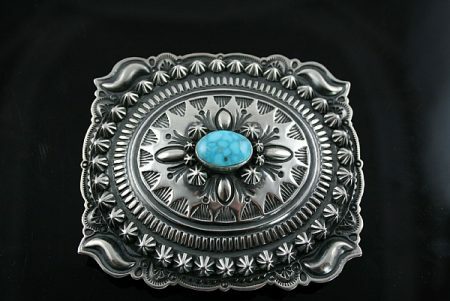 The pattern is deeply oxidized and granulated silver is applied to the top for a striking one of a kind look.